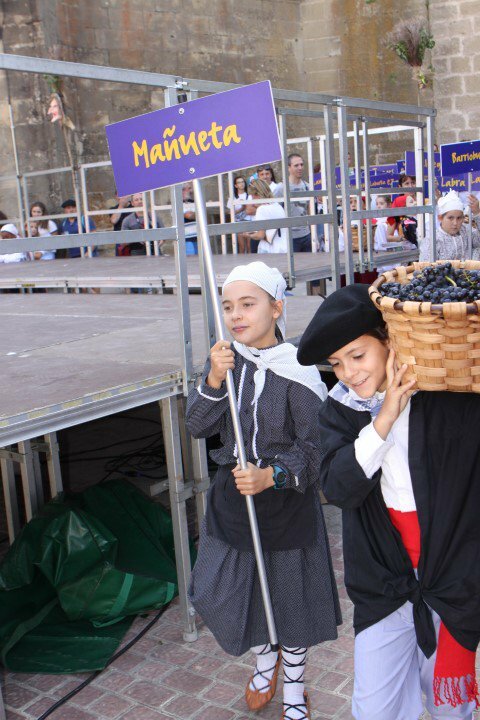 The 25th edition of the The Wine Harvest Festival of Rioja Alavesa 2018 will hold its main act on Sunday the 16th of September in the town of Elvillar. Last year it was carried out in the town of Yécora. The festival started due to the concern of the neighbours of La Cuadrilla to organise an event to exalt their most representative product from the social and economic point of view: wine. The structure and development of this event can be differentiated from others held during other harvests of other wine regions and it has a strong and attractive alavés character. Apart from its itinerant nature which means that each edition is held in a different town, year after year it makes the entire region come fully involved, revitalising its contents.